A dental or porcelain veneer is a thin layer of material that is attached to the surface of a tooth to cover stains, chipped enamel, or other damage. 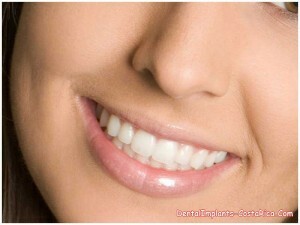 Veneers are also used to cover an abrading tooth so as to prevent further damage. Porcelain as a material resembles natural teeth, making the partial crown almost invisible. Below is a chart showing the prices of veneers for different number of teeth. *Prices are subject to change without prior notice. Please fill-out the estimate-request form on the right to know the latest in porcelain veneers prices. How many Trips to the Dentist’s Office? The two visits to the dentist’s office will have to be made probably 4-5 days apart. Veneers can generally be expected to last for about 10 years, after which you can have them replaced. There are no special guidelines for the care and maintenance of porcelain veneers. You would, however, have to start caring for them like you do for your natural teeth—follow good oral hygiene, brush your teeth after every meal, and do not forget to floss before going to bed. Visit your dentist regularly to know the condition of your veneers and the health of your teeth in general. Veneers are made of very thin material and can improve the appearance of your smile by restoring the original look of the natural enamel. Dental tourists travel to San Jose for a wide range of tooth treatments like root canals, dental implants, and other restorative and cosmetic procedures due to the attractive and affordable prices. 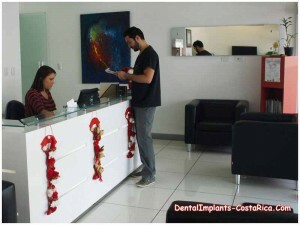 For more information, check this video in which this leading Costa Rican dentist talks about dental veneers. Costa Rica has an exotic lay of its cloud forests, crystal clear waters, and quaint cities. Add the low-cost dental expertise with the natural appeal of the country, and you have many alluring reasons to head to this tropical paradise this year. Get ready to embark on a journey to get porcelain veneers in San Jose and get set to marvel at the brand new smile that would definitely add to the charm of your face.